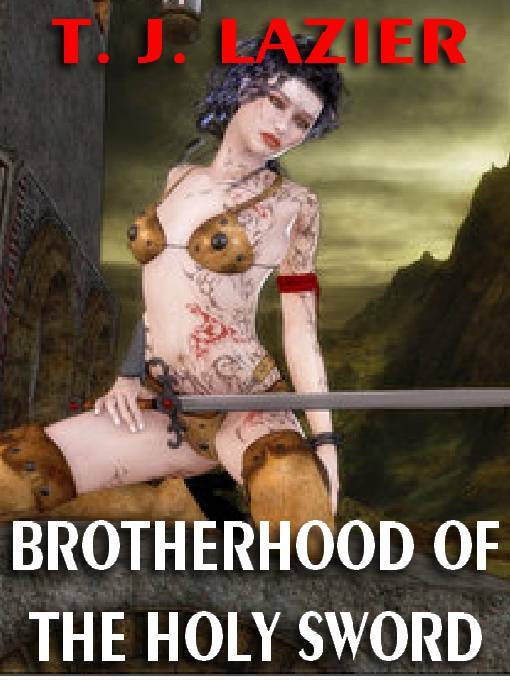 If Robert E. Howard and Fritz Leiber wrote erotica it would be Brotherhood of the Holy Sword! Adventure, politics, pleasure, romance and war. Gadi, heir of the Jarl, along with Cari and Fym, is at the head of a fleet loaded with warriors nearing the end of a voyage to the island Jarldom of Freyrland to gather allies from the Jarl. Upon arrival they encounter Gadi's betrothed Rosalia Sertorius who brings news that her homeland of Antilia has been invaded by an alliance of called the Brotherhood of the Holy Sword and Norse pirates from the island of Jamaka. Realizing what the Brotherhood of the Holy Sword getting their hands on Antilia's gold could mean for the Triple Realm Cari agrees to an alliance with Antilia and Freyrland but before their forces sail to the rescue Antilia Gadi and Cari have a falling out, our hero gets reacquainted very intimately with Rosa and our heroine is ravished, forcefully seduced and conquered into becoming Jarl Eldric's mistress.